In the Winter, I watch a lot of television, read a lot of books, listen to loud music, and hide inside. I'm basically a hibernating pop culture addict. Here's what I've been enjoying this month. I started watching this simply because I love Milo Ventimiglia and Mandy Moore. I kept watching because this show is incredibly well done and wonderful. The show weaves intricate pieces of the family puzzle together through flashbacks. The show focuses on a set of triplets that are all battling different present day problems while dealing with the past. It's well done, it's heartbreaking (seriously, this show is perfect for a cry) and Mandy Moore's 80's style is everything. 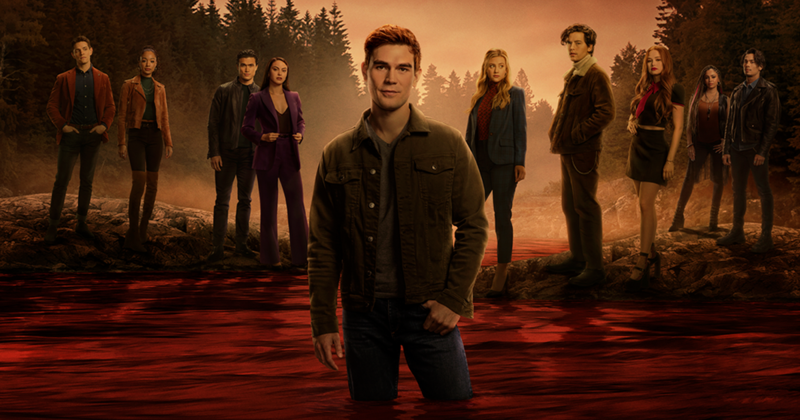 Riverdale is everything I love about teen dramas: it's edgy, dark, well done, and mysterious. Loosely based on the Archie Comics -Riverdale is the perfect modern day noir. Stop whatever you're doing and watch! I'm a huge fan of Adam Pally and Leighton Meester (Oh, how I miss Gossip Girl) so naturally, I started watching. The show is a time travel comedy that's sprinkled with lessons of history, romance, and friendship. Adam Pally's character creates a time machine out of a gym bag and travels to the American Revolution where he meets Leighton Meester. It's incredibly silly and I have no idea where a show with this premise will go, but it certainly has potential. I've always had this weird obsession with ANTM. I think it's because I've always been into taking photos and creating good photos. When Tyra Banks announced she was ending the series -- I was so upset. Especially because the last few seasons were amazing. When VH1 announced they were doing a reboot, I was 100% on board. VH1 certainly has their own spin on the old classic with a new panel of judges, a new host, a very different objective, and a not as great prize -- but I loved it all the same. I fell in love with Rita Ora's style and Ashley Graham's eloquence. The models this season actually seemed like really awesome girls. Plus, my favorite won and now that the season is over, you can binge watch like I wish I could've. 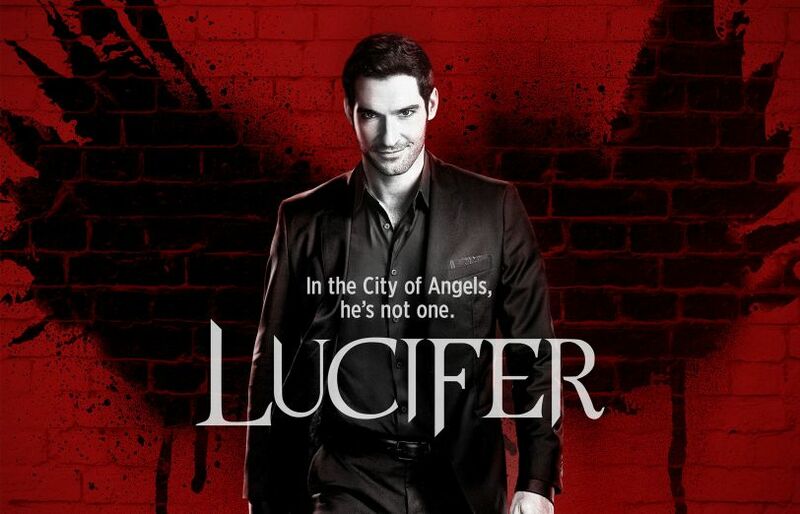 Lucifer is completely not the kind of show that I gravitate towards, but after several people with good television opinions recommended it to me -- I decided to give it a shot. It's a show on FOX about the devil hanging out in L.A. as a club owner. Somehow he becomes a civilian consultant for the LAPD where he uses his devilish powers to assist on cases. It's equal parts absolutely ridiculous and incredibly well done. Essentially it's a really dark cop drama that focuses more on morality and mortality than it does on romance and cheesy crimes. It's very compelling for a FOX drama and the cast is damn good. This show ended back in 2013 with only three seasons and somehow I had never heard of it. It's a really funny and sometimes over the top sitcom based around a group of friends. As a huge Seinfeld fan, I have a thing for shows that are basically just people hanging out. This certainly helped fill the void. The first season is just okay, but by the second and definitely the third -- this show comes into its own. Plus Adam Pally, Damon Wayans JR, & Elisha Cuthbert. I've talked enough about the Menzingers on here and IRL that everyone is very aware that they are in fact my favorite band. Their new record came out last month and it's all I've been listening to. It's truly an amazing record. The new songs are damn good live too. So good that I saw them two nights in a row because I had to hear/see them again. Highly recommend this record from start-to-finish, but if you just want a single song check out "Your Wild Years" or "Tellin' Lies". I know you won't be disappointed and if you are, maybe we aren't friends. I love Gilmore Girls as much as the next person, so of course, this was a must read memoir for me. 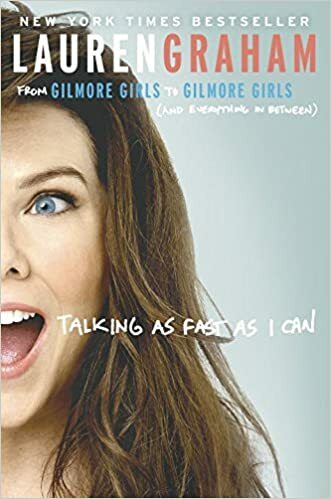 I didn't necessarily learn anything new, but I did discover that Lauren Graham is an amazing writer, a very kind person, and that she loved Lorelai Gilmore as much if not more than we did. 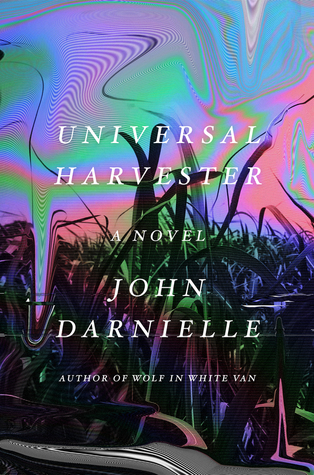 John Darnielle is the the singer/lyricist for the Mountain Goats (a very great band). Darnielle's words have always inspired me to be a better writer. This book is about as strange and well done as anything he has done. I read this book in a single day because I was so captivated and needed to know what the hell was happening immediately. This was a really well written memoir about getting cast in Star Wars as a fairly inexperienced actress. Carrie kept journals during this time in her life and she used them to write a memoir filled with adolescent charm and a refreshing sense of honesty.